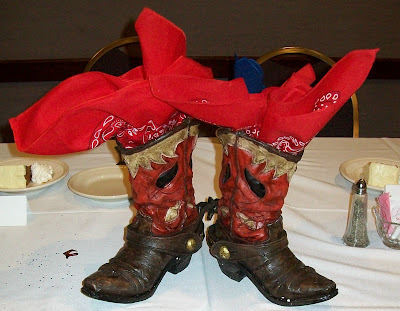 Party People Event Decorating Company: Stampede to Success! 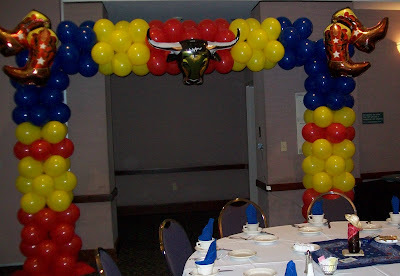 Entrance arch sets the tone as attendees enter the room, and serves as a photo drop as they receive their awards! Call us at 863-255-2025 to let us know how we can help you for your next celebration. 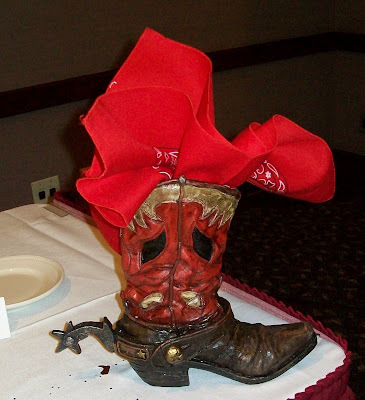 Cowboy Boot Vases serve as centerpieces for the head table with Bandana accents. 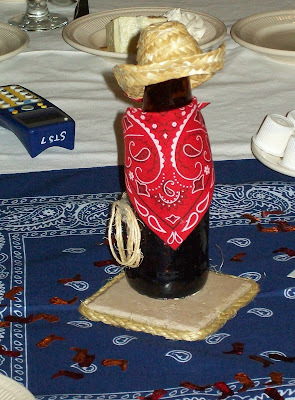 These Items can be Rented or Purchased for your next Wild Wild West Celebration! 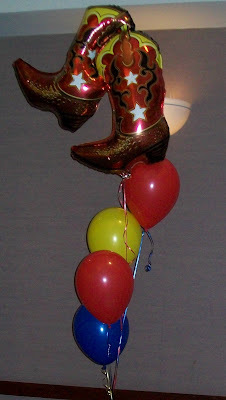 Jumbo Foil Boots and latex balloons add color throughout the room. Many different western foils are available. We look forward to creating a festive environment for your next Celebration!